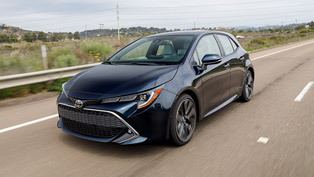 Corolla Verso, one of the key core models for Toyota in Europe, is to get a fresh, new look and will offer to customers even more premium equipment levels, while continuing building its success based on its versatility, high level of quality and driving pleasure. At the same time, the environmental performance of the Corolla Verso is to be enhanced with the introduction of a Diesel Particulate Filter (DPF) catalytic converter on the best-selling 2.2 D-4D 135 engine.The Corolla Verso now boasts one of the most technically advanced and clean diesel engine line-ups in Europe. The 2.2 D-4D 135 is available alongside the D-4D 180 Clean Power engine with Toyota D-CAT which reduces NOx and Particulate Matters (PM) emissions at the same time. 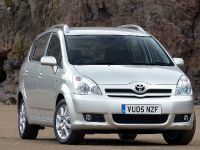 The new look and enhanced equipment levels, including dual-zone air conditioning and new audio system, will build on the existing success of the Toyota Corolla Verso which has proved to be one of the most popular compact MPVs in Europe. 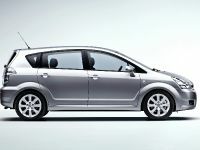 The revised Toyota Corolla Verso will go on sale in Europe from June and July, depending on markets. Corolla Verso offers a sporty styling and is packed with innovative design solutions, allowing seven people to sit in comfort within its compact overall length. The unique Toyota Easy Flat-7 seating system means all five rear seats can be folded away to create a fully flat floor. 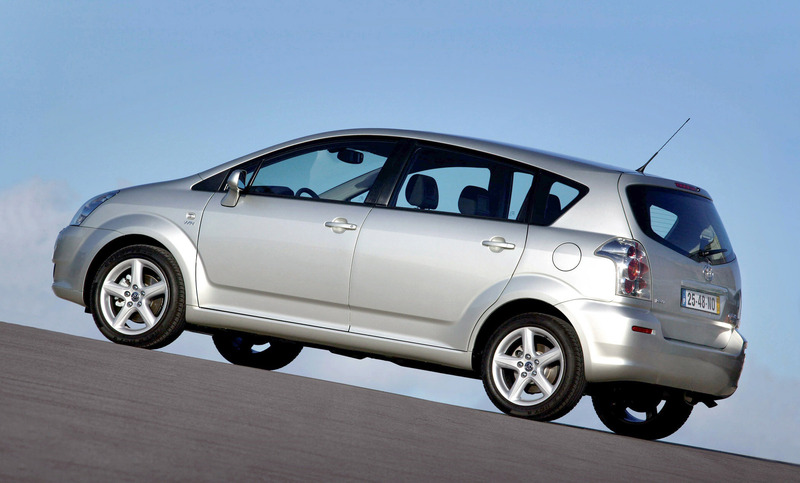 The Corolla Verso was the first model in the compact C-MPV segment to offer this feature and it remains one of the easiest to operate. 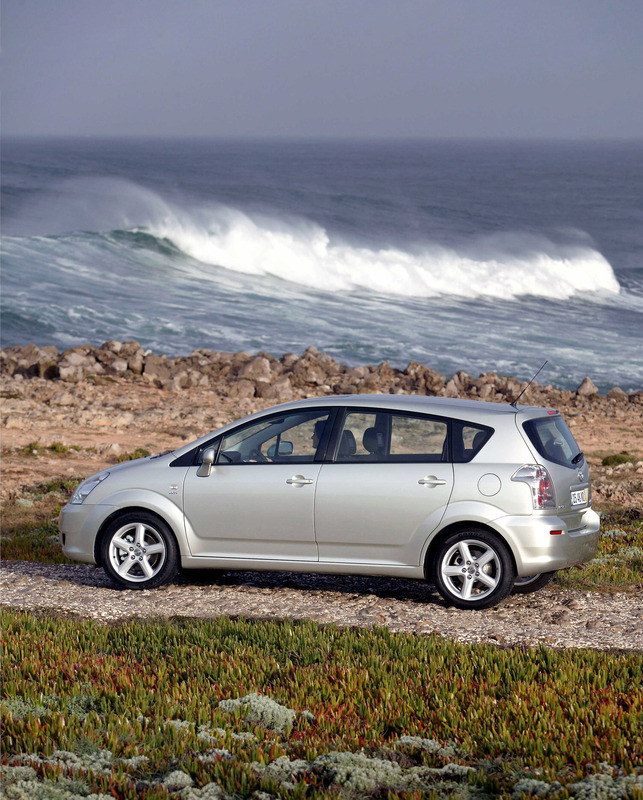 The Corolla Verso is also one of the leaders in its segment when it comes to safety. 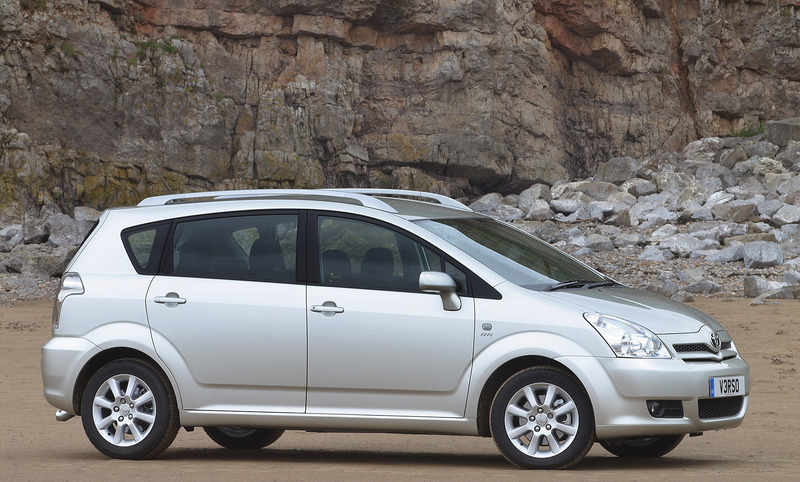 It has been awarded five stars for adult occupancy protection by Euro NCAP, as well as four stars for child safety. The Corolla Verso features several segment-firsts; such as the availability of nine airbags including the driver's knee airbag, and the innovative Cornering Assist Monitor, which has been upgraded and revised to make it more effective and easier to use. 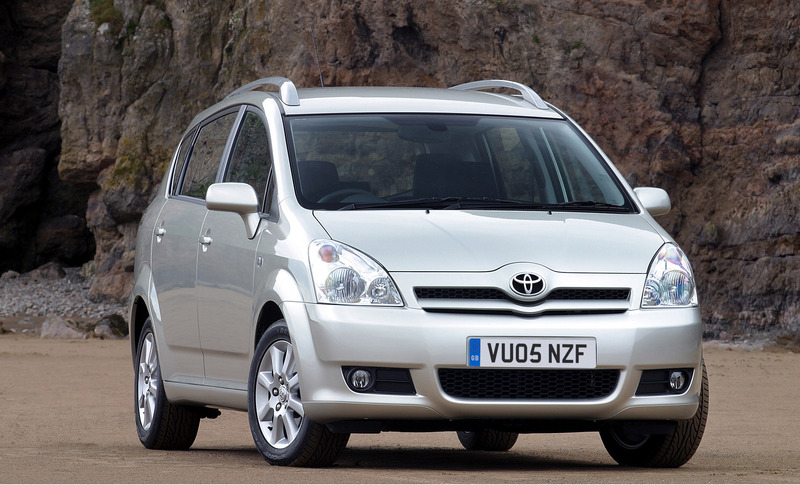 With its stylish sporty looks, spacious interior and high level of perceived quality, the Corolla Verso has opened up the market for compact MPVs to a whole new group of customers – active couples who are looking for something a bit more special than just another family car. 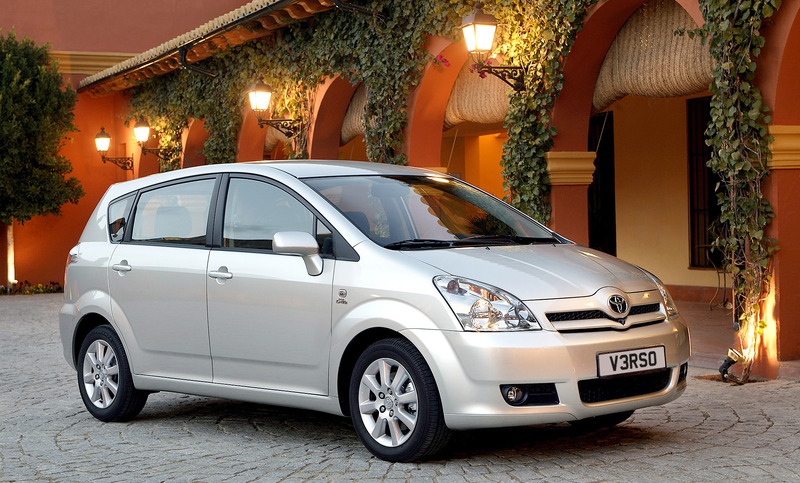 Since its launch in 2004, Corolla Verso has proved to be a unique C-MPV offer in Europe combining a dynamic design high level of quality, driving pleasure and ingenious modularity. With an exterior design created at Toyota's European design centre, ED2, in the south of France and production based at TMMT manufacturing plant in Adapazari, Turkey, the Corolla Verso has challenged the way European customers view the compact MPV segment. 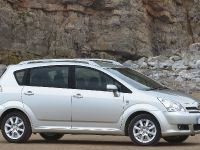 Unlike sales in the main C-segment (showing a declining trend) the C-MPV segment in Europe is stable at around 1.4 million units a year. Last year some 95,471 Corolla Verso were sold in the region, a 3% increase on 2005 and representing a 6.6% European segment share. 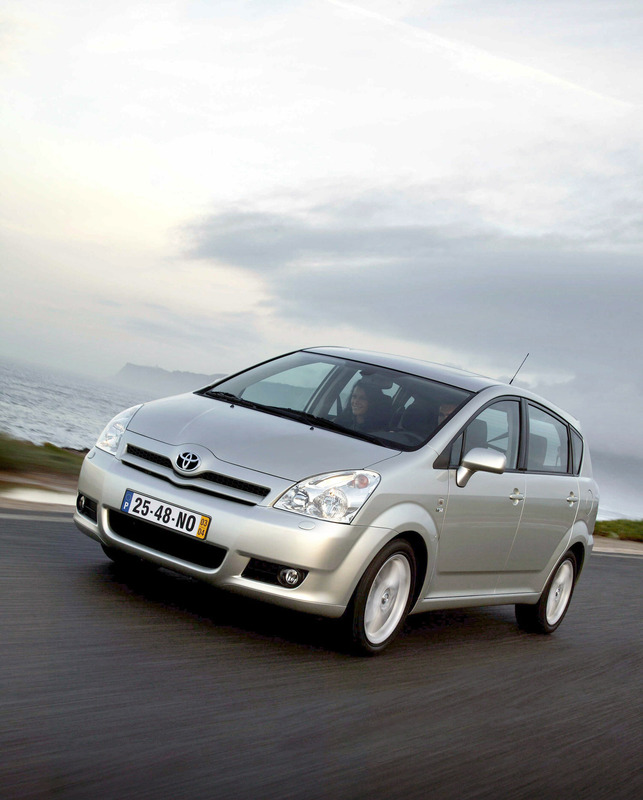 Toyota is planning to sell 93,000 Corolla Verso models in Europe in 2007. 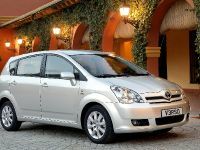 Much of the recent growth in Corolla Verso sales has been stimulated by the introduction of the 2.2-litre D-4D engine range in late 2005. These engines, which offer increased performance, greater driving pleasure and significantly reduced harmful emissions, clearly demonstrate Toyota's commitment to sustainable mobility through advanced powertrain development. The introduction of the 2.2-litre D4-D range has boosted diesel engine sales to 42% of the mix while the segment is at 65%. 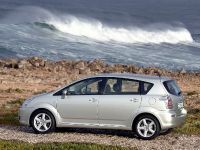 The 2007 Corolla Verso moves with the times and its fresh new look has a strong individuality while retaining the clear Toyota family identity. The new frontal styling, created within the context of Toyota's Vibrant Clarity design language, gives the Corolla Verso more individuality and character with a strong sense of innovation. There is a new vertical character line linking the upper grille and the bumper, giving the bumper an integrated appearance with the bonnet. 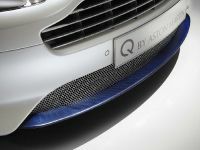 The new front bumper with more presence adds 10 mm to the overall length (now 4 360 mm) and front overhang (880 mm). 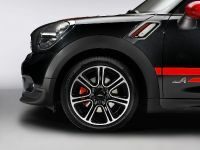 At the same time, the new styling features more sporty graphics, such as the mesh-style radiator grille and new shape to the turn indicator lamps. Front headlamps have been redesigned to give a more dynamic image and a smoked finish to add sporty emphasis to the halogen headlamps and rear lamps will feature specifically on the D-4D 180 Clean Power model. Rear styling features a new, rectangular turn indicator lamp and a new chrome-plate finish to the wider number plate trim. This helps create a greater sense of width. There are now four clearly differentiated grade levels (Terra, Luna, Sol and Premium Active) identified with specific wheel trims and featuring newly created alloy wheels for Luna and Sol. To complete the more sporty and dynamic look, Corolla Verso is available in ten exterior colours, five of which are new to the range. 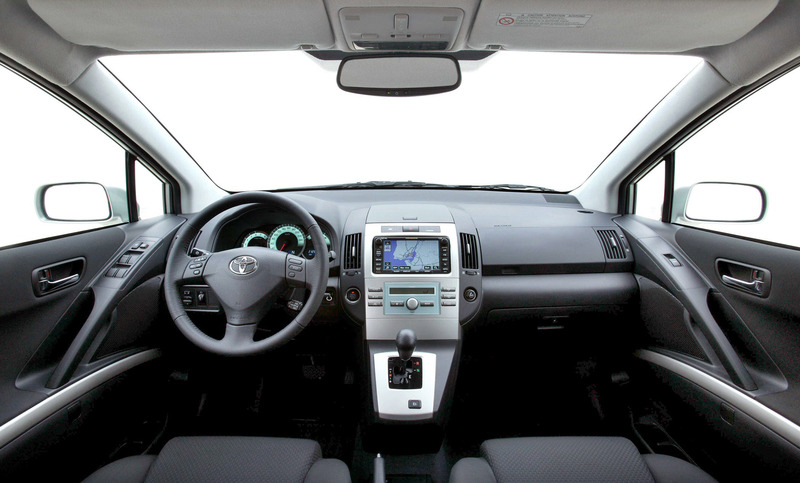 The four grade level structure is carried over to the interior trim where there have been further improvements in perceived quality and comfort. New fabric upholstery has been created for the main body of all three rows of seats with specific fabrics for each grade level. In addition, the rear surface of the second and third rows is covered in carpet fabric to improve the perceived quality and durability. 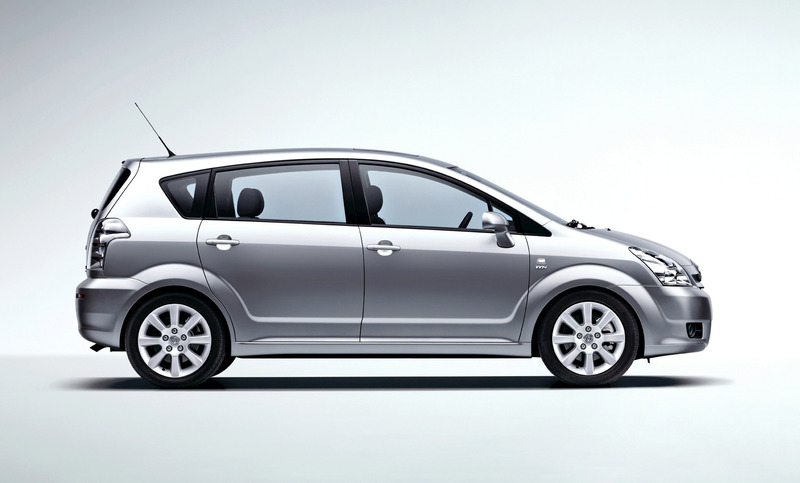 These trim improvements reinforce the sense of superior quality that is a key feature of Corolla Verso design and build. Tight panel gaps, with superior fit and finish, produce flush surfaces and the geometric, three-dimensional lines of the interior styling give the cockpit a well-defined form. This, combined with the metallic finishes and new blue acrylic panel for the air conditioning, accent the centre cluster and create a high-tech appearance. As one of the world's leading global vehicle manufacturers Toyota has long recognised its corporate responsibility for the environment and is committed to a comprehensive vision of sustainable mobility. Much progress has already been made in petrol and diesel engines and Toyota continues to research and develop advanced technologies to offer better performance and reduced emissions. The Corolla Verso range clearly demonstrates how Toyota's advanced technology petrol and diesel engines can offer customers great driving pleasure, good performance and significantly reduced environmental damage through low fuel consumption and effective emission controls. 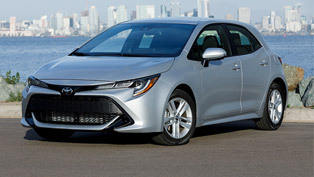 This position is strengthened by the introduction of a Diesel Particulate Filter (DPF) catalytic converter on the best-selling 2.2 D-4D 135 engine for the Corolla Verso. The new engine will join a line-up which includes the high performance D-4D 180 Clean Power engine with advanced D-CAT technology – already among the cleanest diesel engines in its class. The DPF catalytic converter not only purifies the exhaust of hydrocarbons (HC) and Carbon monoxide (CO) – as with a conventional oxidation converter – but also significantly reduces particulate matter (PM) as well. The DPF converter utilises wall-flow construction which forces the exhaust gases through tiny pores in the catalyst substrate walls, trapping the particles. Unlike many other particulate filters, the Toyota DPF catalytic converter is ‘self-cleaning', hence is maintenance free throughout the life of the vehicle. 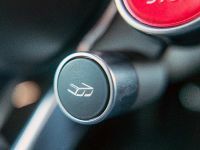 An exhaust fuel injection is used to raise the DPF catalyst temperature on a controlled basis and the particles burn off to clear the filter pores. This process requires the addition of a fifth fuel injector which is placed in the exhaust manifold. Other enhancements to the 2.2 D-4D 135 engine include the fitting of ceramic glow plugs with a higher operating temperature than conventional plugs. These improve low temperature starting and reduce white smoke. An air-bypass system for the Exhaust Gas Recirculation allows compressed exhaust gas to by-pass the EGR cooler under light engine loads when cooling is not required. 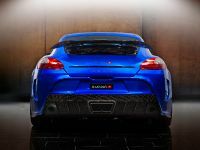 This contributes to high power output and low emissions under these conditions. The new 2.2 D-4D 135 engine with DPF offers the same performance figures as the conventional catalytic converter equipped engine – 100 kW (136 DIN hp) maximum power at 3600 rpm and torque of 310 Nm across the engine range 1800 rpm to 2800 rpm. 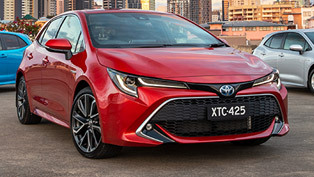 The Corolla Verso will continue to be available with a choice of two highly efficient, VVT-i (Variable Valve Timing - Intelligent) petrol engines which offer excellent fuel consumption and lively performance. These engines are equipped with advanced ‘by-wire' throttle control to enhance driving pleasure and optimise fuel consumption. 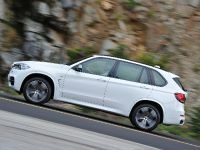 The 1.8-litre VVT-i petrol develops 129 DIN hp and 170 Nm of torque while the highly-efficient 1.6-litre VVT-i petrol develops 110 DIN hp. 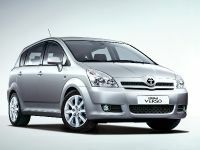 The style, versatility and premium quality of Corolla Verso have brought new customers to the segment and to Toyota. 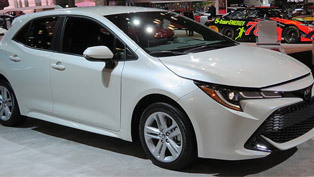 This facelift will add even more premium equipment to Corolla Verso to further enhance value and driving enjoyment. The premium build quality of Corolla Verso is clearly illustrated in the Toyota safety approach which puts Corolla Verso among the class leaders in the segment. 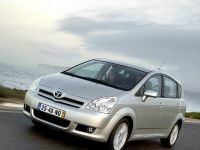 Corolla Verso is one of six Toyota models that has been awarded five stars in Euro NCAP tests for adult occupant safety. Passive safety systems include a highly rigid and strong passenger cabin which is surrounded by an impact-absorbing structure to divert collision energy away from the occupants. Corolla Verso is available with nine SRS airbags, including a driver's knee airbag, a steering column energy absorbing mechanism, an ISOFIX child seat anchorage system and WIL (Whiplash Injury Lessening) concept seats, which minimise the whiplash effect caused to a passenger's neck in the event of a rear collision. 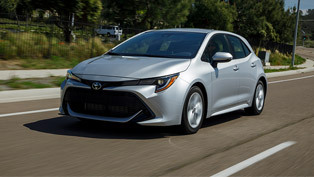 Corolla Verso's four-disc braking system and optional Vehicle Stability Control (VSC) offer maximum performance and control whether one or seven occupants are inside the car. The top braking performance is enhanced by the Brake Control System which can offer Anti-lock Brakes (ABS), Electronic Brake-force Distribution (EBD), Brake Assist (BA), Traction Control (TRC) and Vehicle Stability Control (VSC). For optimum driver and passenger comfort, the Corolla Verso will now be available with dual-zone automatic air conditioning. This allows independent digital setting of the cabin temperature to suit the preferences of each passenger. The already sophisticated and fully integrated audio and navigation system has been upgraded to maintain its position among the most advanced in the segment. The audio system will now play MP3 and WMA files and offers Bluetooth connectivity. The navigation system is latest generation with clear mapping displayed in 32k colours and using ‘Michelin-style' colour coding for roads and features which are instantly familiar to most drivers. The system offers voice guidance in 10 European languages and RDS-TMC traffic information. 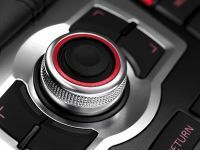 Operation of the full map navigation system has been made easier by the integration of telephone and voice switches into the steering wheel along with audio controls. The telephone switch is used to operate Bluetooth compatible cellular phones while the voice switch is used to operate the navigation system voice recognition function. There have also been significant enhancements to the front Corner Assist Monitor and rear Parking Assist Monitor which are one of Corolla Verso's most innovative features. These enhancements make the Assist Monitors more effective and easier to use. The Corner Assist Monitor allows the driver to see areas in front of the vehicle which could be out of the direct line of sight, such as at blind junctions or when turning in confined spaces. It can help confirm the presence of oncoming vehicles, cyclists or pedestrians. The camera for the Corner Assist Monitor has now been changed to one with a three-dimensional view that allows indirect monitoring left, right and in the lower area in front of the vehicle. This enables the driver to see objects that might be in the blind spot immediately in front of the vehicle. Touching a switch on the screen changes the display between two and three-dimensional view. 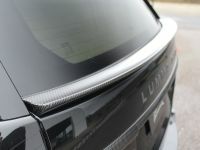 At the same time, the angle of vision from the camera has been increased to give a further extension of the side view. The rear Parking Assist Monitor which indicates the course of the vehicle to the driver during parking has also been upgraded with a more effective display design and a help function. The enhanced Corolla Verso, to be revealed at the Barcelona Motor Show, will contribute to make the model a continuous strong competitor in its segment thanks to a more dynamic design and the addition of premium equipments, with the environment friendliness in mind. 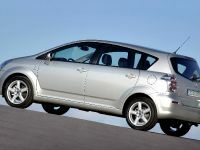 The Corolla Verso will be revealed at the Barcelona Motor Show on June 7th 2007.